With 97 percent of the votes counted as of 9 p.m. Israel time, and no significant changes expected, Prime Minister Binyamin Netanyahu has won re-election by 13,000 votes, or less than a single percentage point, over challenger Benny Gantz’s Blue and White alliance. A Likud source was quoted as saying that, notwithstanding the slender margin of victory, PM Netanyahu claims “full support and a definitive mandate to continue to lead” and that the coalition will last four years. Netanyahu won a more decisive victory over the center-left bloc, as the right and religious parties are poised to assemble a 65-seat majority versus 55 for the opposition, barring the unforeseen. Now that the question of who will be the next prime minister has apparently been settled, speculation rose on Wednesday regarding the apportioning of portfolios in the next government. The first battle of the would-be ministers already began, as Union of Right-Wing Parties (URWP) chairman Rabbi Rafi Peretz said Wednesday that he intends to ask PM Netanyahu and his Likud negotiators for the Justice and Education ministries. A former chief rabbi of the IDF, Rabbi Peretz sees himself in the role of education minister while his No. 2, Betzalel Smotrich, who has a law degree, should be the next justice minister. “It is natural for Betzalel to deal with law while I have decades of work in the field of education,” he said. But it may not be so simple. 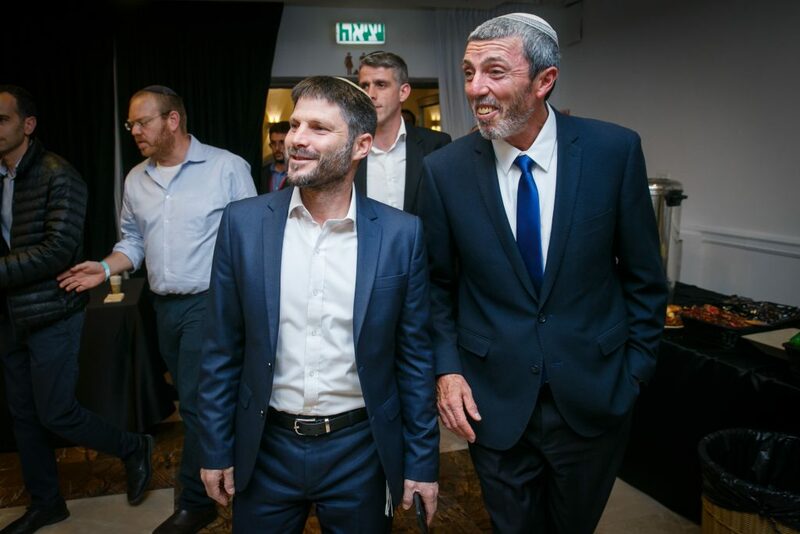 Earlier this week, Smotrich claimed that URWP had been promised the two ministries if it joins the coalition, which Likud officials then denied. There may be more trouble in reaching an agreement with Yisrael Beytenu leader Avigdor Liberman, the former defense minister, who might like to return to his office in ministerial headquarters in Tel Aviv, although so far he hasn’t mentioned it, at least not publicly. MK Oded Forer of Yisrael Beyteinu explained: “We will enter the coalition only if there is a clear government policy regarding Gaza, we cannot be partners in transferring the money to Hamas, we will not compromise on the [chareidi] draft law, we will support it even outside the government,” Forrer said. Similarly, there is a question mark over the foreign ministry, whether the acting minister Likud MK Yisrael Katz will continue there or not.